Exhibitions are “a cultural dominant today”, as Angela Dimitrakaki aptly explains.1 Today, when artworks are redefined as “objects”2 following a new ontological premise of art that contrasts with the modernist paradigm, it is meaningful to question the role and significance of art exhibitions in terms of the global neoliberal context. Professor Dorothea Von Hantelmann has given us an overview of the history of exhibitions. She situates the origin of contemporary exhibition practices in 19th-century Europe, a period marked by the rise of individuality. Going hand-in-hand with the development of a capitalist market model, the new context of showing art in a public space where a person could enjoy it surrounded by like-minded individuals was a civilizing ritual the new social classes used in order to create their own cosmology. Art became a tool in the hands of the middle classes to show their wealth, social status, and progressive ideas. Although modernism changed this paradigm slightly by focusing on the aesthetic potential of art to steer emotions and sublime contemplations, the basic structure of art exhibitions remained more or less unchanged until the 1960s. This decade signalled a break with the past, as new art forms entered the scene, questioning everything, including the concept of a white cube as an appropriate space for showing art. However, besides the occasional critique, the model of showing art from the 19th century remains more or less unchanged even today. Art is predominantly exhibited in spaces designated for this purpose and is rarely shown elsewhere unless required by the piece’s formal and conceptual requirements, as is the case with Street Art or Land Art. 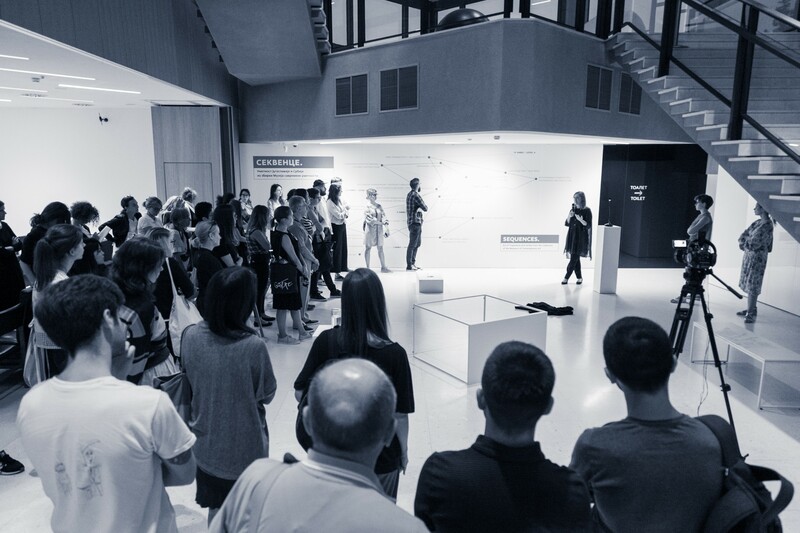 Following several other lectures during the course, including those by Antariksa and Tara McDowell, the focus shifts to the exploration of other models of exhibiting art critically, such as those less preoccupied with the spatial organization of a show than with the role of curators in providing engaging concepts. Art historian and critic Branislav Dimitrijević has encouraged a rethinking of the exhibition through 11 theses. He states that “social life is essentially practical and curating is about inhabiting the practice of art in social life.”3 Art is an inseparable part of social taxonomy and its representation is an act of responsible intervention that brings the critical potential of art into dialogue with social reality. 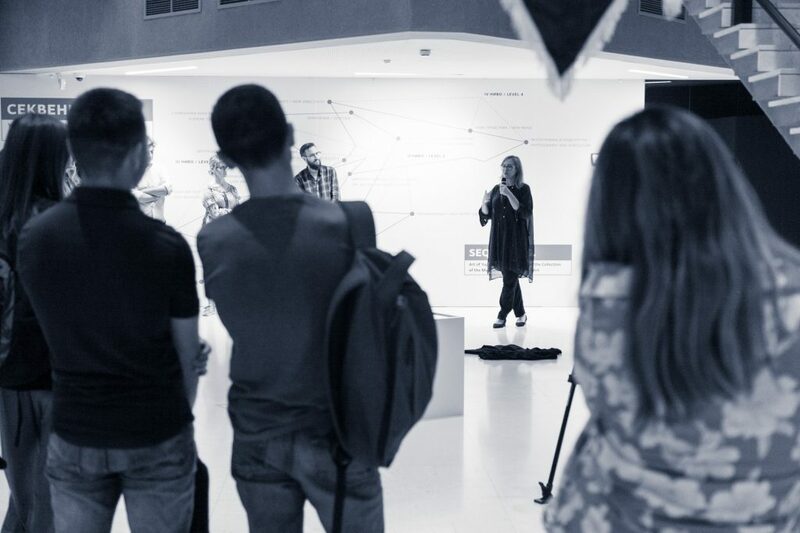 Going back to the opening statement that contemporary artworks are “objects” created within a specific context and with a critical potential that engages different political and social structures, the question arises: are exhibitions the right model for displaying art? Can we apply the old model to the changed circumstances of contemporary art? If artworks are objects that contain critical potential regarding the present moment, how productive is it to present them inside an old model? Does this dull art’s critical blade? One of the possible answers to this problem could be the new contextualization of exhibitions as spaces that do not just showcase art but immerse it into social life, as Dimitrijević proposes. Contemporary artworks are objects that create multiple relations with lived experience and cannot be historicized as pure aesthetic works positioned outside “the production logic of contemporary capital.”4 Therefore, exhibitions need to be restructured both theoretically and materially as sites for critical reflection, activism, and engaged participation. 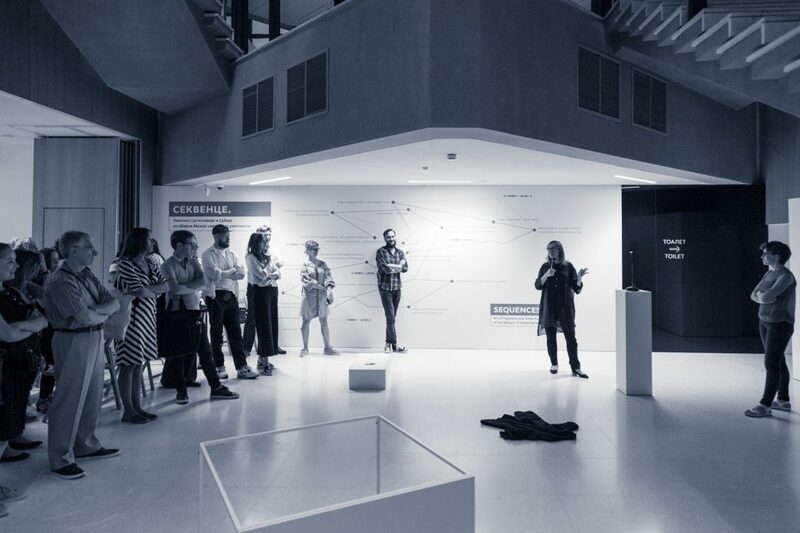 At the same time, the role of a curator is complicated by these new theoretical and material frameworks and requires a specific knowledge that can answer these needs. It is necessary to address the critical potential of art through the process of curating while also paying attention to the locality in which certain artworks are exhibited. Curating is essentially a discursive practice that engages multiple social levels and discourses: it is still implicit in the capitalist production of affective outputs, regardless of its critical effort. If and how this tension can be resolved remains to be seen. 1 Angela Dimitrakaki, “Art, Globalisation and the Exhibition Form: What is the Case, What is the Challenge?”, Third Text, Vol. 26, Issue 3, May, 2012, 305–319. 2 Here, the term “object” is the translation of the Serbian word “predmet”; the term is used by N. Dedić in his redefinition of contemporary artworks in: Između dela i predmeta, Beograd: Fakultet za medije i komunikacije, 2017. 3Branislav Dimitrijević, A draft for Eleven Theses on (Art-) Curating, unpublished material. 4 Angela Dimitrakaki, “Art, Globalisation and the Exhibition Form”, p.308.